Former Thai football chief Worawi Makudi had his three-and-a-half-year ban rescinded by the Court of Arbitration for Sport on Monday. Worawi was suspended from all football-related activities in October 2016 for five years following his conviction for forgery in a Thai court and for failing to cooperate with a FIFA investigation. His ban was cut by 18 months last year after he took his case to FIFA's appeals committee. He was cleared by CAS on Monday of an ethics breach related to forgery and falsification, and found in violation for failing to cooperate to a lesser degree than by FIFA instances. A CAS panel instead issued a reprimand and halved his initial fine of 10,000 Swiss francs to 5,000 (4,400 euros). 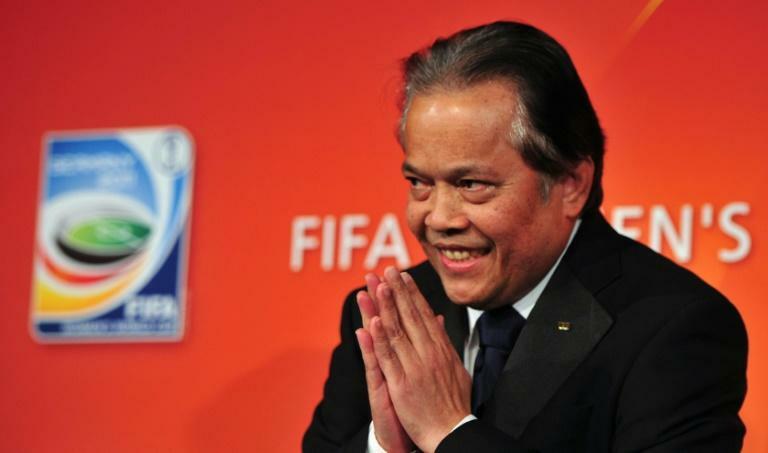 Worawi was a FIFA executive committee member for 18 years until May 2015 -- including for its 2010 vote for the 2018 and 2022 World Cups. After his conviction, a millionaire former Thai police chief won the election to head up Thai football. Worawi was found guilty by a Thai court in 2015 of forging documents during a re-election campaign as head of the Football Association of Thailand, although the country's Appeals Court overturned the conviction in 2017.